We had a flea problem in our house, and I did a lot of research about how to identify and eradicate the little pests. Is it a Flea or is it a Bed Bug? Both fleas and bed bugs are two pests every homeowner and pet owner fear. They bite, they fly, they jump around, and they are a nightmare to get rid of. But before you can fix the problem, you need to diagnose it. According to the World Health Organization, bed bugs typically reside only in the bed, while fleas like to infest spots outside of the bedroom, especially your pets. Although both bed bugs and fleas can be huge headaches to deal with and to get rid of, bed bugs are harmless, whereas fleas are parasitic animals that are carriers of a plethora of diseases, including the plague and typhus. The location where you find the bug can help you determine what type of bug it is. Fleas are often first found on a cat or dog, as well as places in your home where your pet likes to rest. Bad flea infestations, however, can result in these wingless bugs infesting all nooks and crannies of your home. Bed bugs are pickier—you will likely only find them in the bedroom, mainly in the seams of your bed. Bed bugs don't come out during the day, so if you think that you see a bed bug in the afternoon, it is more likely a flea. Have you ever had a flea or bed bug problem? Although bed bugs and fleas are both tiny creatures, they do have physical appearances that can help you decipher between the two. Bed bugs are flat, with an oval-shaped body. They don't have wings and are generally between four and seven milimeters in length. Their bodies are a mild brown, which sometimes appears more like the color red. Bed bugs typically feed on humans, but will move to pets if they need a new food source. Bed bugs don't like light, so they can be found in dark crevices during the day, but may venture out when it gets dark. Fleas are also wingless, however these bugs have a high jump that may make them look like they are flying. Fleas are smaller than bed bugs, measuring one to four milimeters in length. Like bed bugs, they have flat bodies, however their body shape is much narrower. They range in color, but are typically a light shade of brown. The bites that come from bed bugs and fleas can be awful, however only flea bites can actually be harmful to you and your pets health. 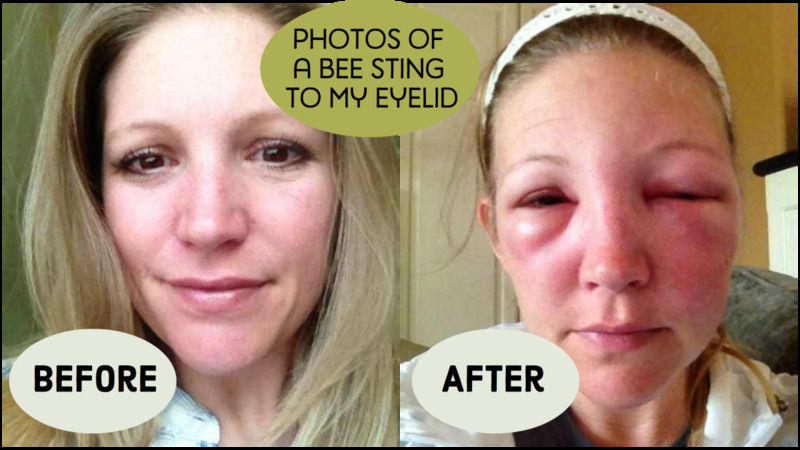 Sometimes the bites are noticed before the bugs are, which is why being able to tell the difference between the two bites is so important. 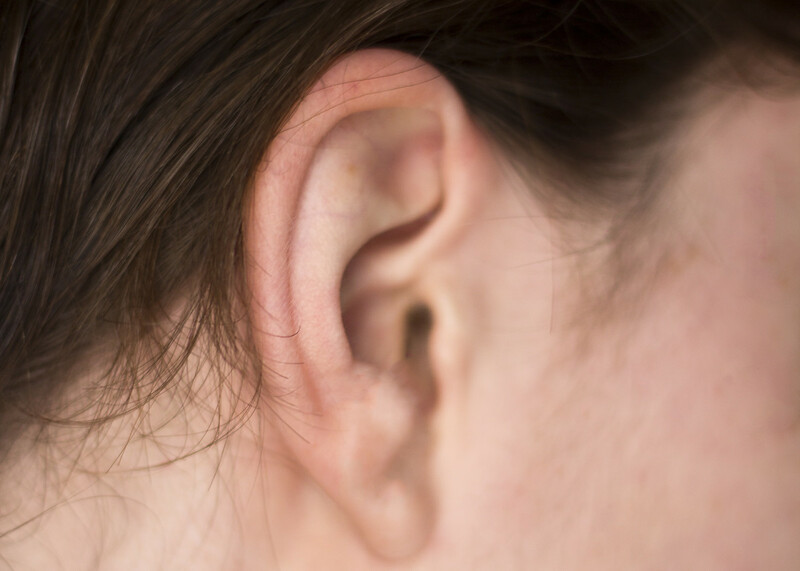 Flea bites are typically found around the feet, ankles and legs, whereas bed bug bites can be found anywhere on the body, particularly the torso. 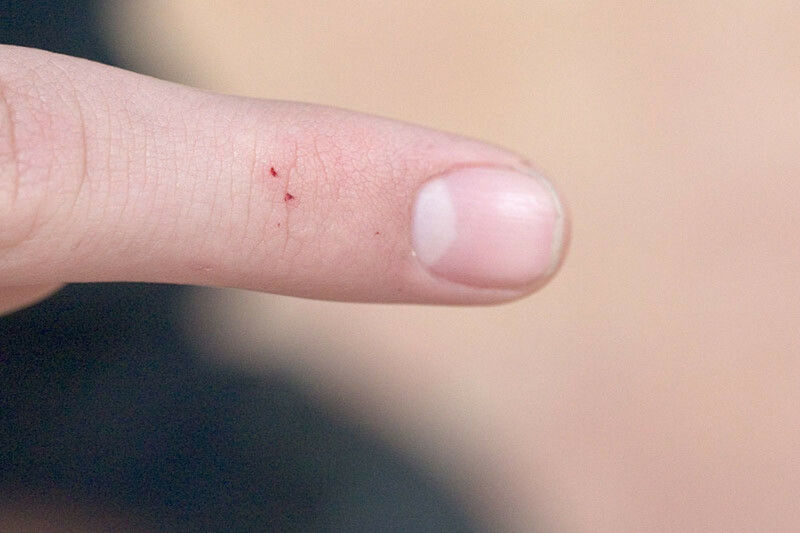 Flea bites cause a small red bump surrounded by a ring. These bites are extremely itchy and pop up quickly, in large quantities. Unlike other insects (ants, spiders, etc. ), fleas leave bites with only one puncture mark, not two. Some individuals may be allergic to fleas, and an allergic reaction can occur after being bitten, in this case, go to an emergency room immediately. 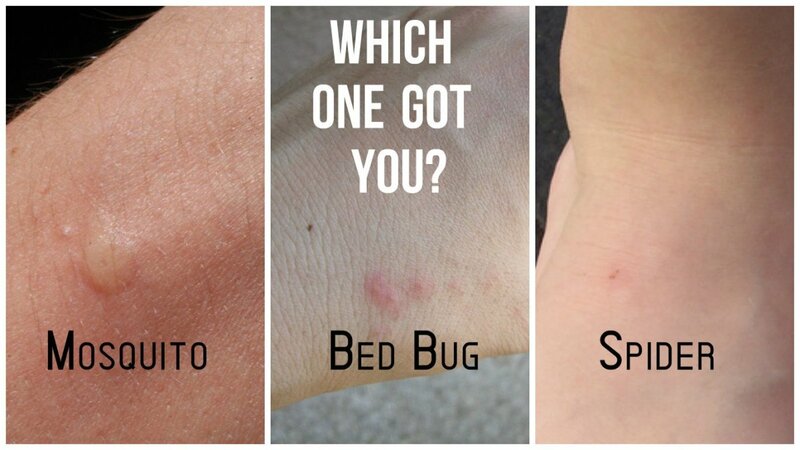 Bed bug bites appear like welts on the body, with a red color. They can be confused with the bite of a mosquito, but they last much longer. 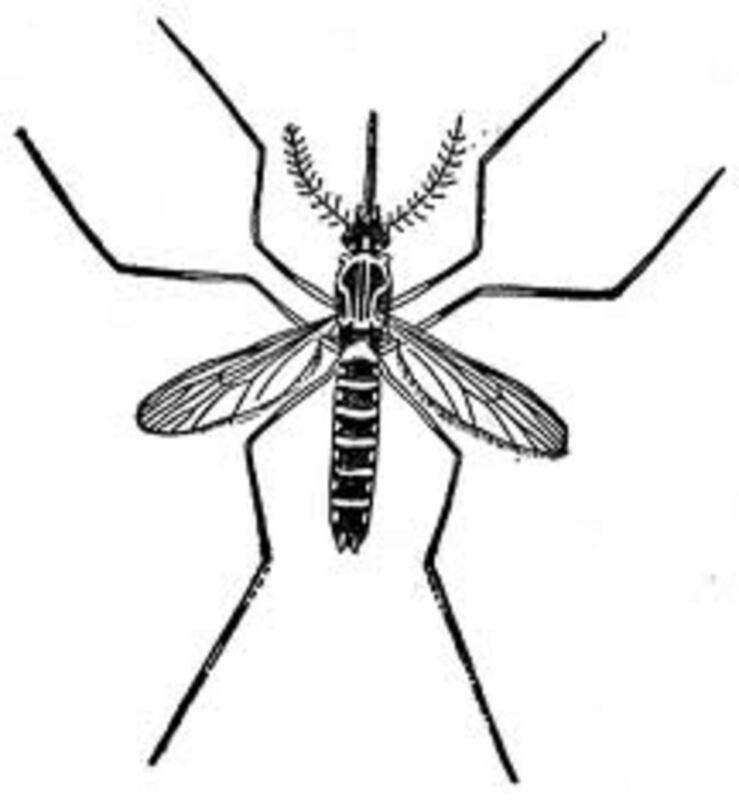 They occur less frequently than bites from fleas, and are typically in a linear pattern. Bed bug bites itch, but because they don't occur as often, flea bites are considered to be more annoying, not to mention dangerous. Ridding a home of fleas and bed bugs is not easy, and the way you eliminate bed bugs is not the same approach as one would take to eliminate fleas. For both bed bugs and fleas, the sooner you act the better. Once you have a full-fledge infestation, the problem can be difficult to concur. It can often feel like more pop up for every few you manage to kill. If you find that you are suffering from a full-fledge infestation of fleas or bed bugs, it is best to contact an exterminator with experience dealing with the particular insect. If you catch fleas early, you may be able to eliminate the problem by medicating your pets, cleaning your home, and spraying the exterior of your house with a flea repellant. Be sure to treat any place fleas enjoy, such as laundry, carpets, curtains and other fabric surfaces in your home. If you have a bed bug problem, start by washing all of your linens and comforters. Clean your mattress, as well as your box spring, bed frame and headboard. After trying to eliminate either bed bugs or fleas by yourself, if you continue to find the insects, call an exterminator to help you get rid of the problem. If you suspect that you have a flea problem, leave a bowl of dish soap under a nightlight. 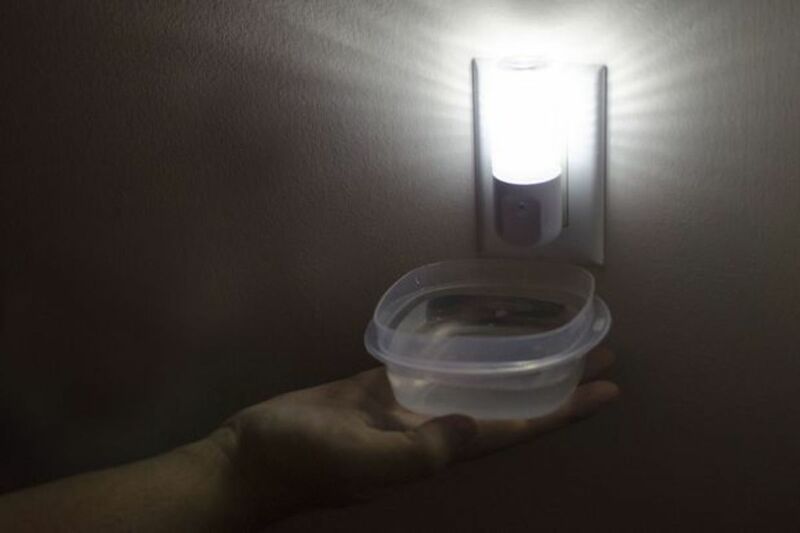 The soapy water combined with the light will attract fleas, who will die when contacting the water. Hello, thanks for sharing this post. Bed bugs are very bad and they produce a bad environment in the house and also infect the furniture and belongings. I think hiring professionals can be the best option to cure from bedbugs because last month when my friend was moved to his new house he hired professional service http://www.movingrightalong.com who provided him vikane fumigation service. According to he had used many ways to cure bed bugs, but it doesn't work. I was so worried about my dog when I came to know that my neighbors’ pet is suffering from flea and ticks disease. Dogs easily get in contact of fleas and ticks, because most of the time they play outside in the environment. So, as a pet owner it is our responsibility to give early or natural precautions to save their life and keep away from serious illness and discomfort. Therefore, I contacted my vet, discussed the same and decided to give Capstar Flea Killer tablet available at Petcarerx site. Such medications are best for pet health and daily use. Very true! unfortunately i didn't learn this till the end of getting rid of the flea problem in my house, but Im glad to be able to share this info with others! The quick tip about using soapy water is an easy remedy. Good information. If I never see either one, I would be happy. Unfortunately, awhile back I had to deal with flea infestation. I couldn't afford the monthly flea treatment for my 3 cats, so I did a bad thing: nothing. When I saw one of my Himalayans lose most of her hair and little black specks on my feet as I sat at my desk working, I knew it was time to take them to the vet. $1,100 dollars later and after bombing my house, it's now under control. My girl's hair has grown back and there are no fleas in the house or on my kids. Lesson learned. I could have saved a whole lot of money and misery on my cats' parts had I kept up with their treatment. Dont be freaked out! I wrote this out of necessity because I too just got over dealing with fleas on my cats, only we did have a full infestation. Trust me, TRUST ME, you will know if you have a huge problem or not! Oh man. We have a foster dog we just took in yesterday who had fleas. We have eradicated the fleas (I HOPE) and now I'm kind of freaked out. A truly disgusting hub. Very well done and chock full of good information. I am scratching as I say this.